Hybrid cloud and hybrid IT environments are bringing new complexities to capacity management and demand forecasting. Managers and strategists are seeking to better understand the capacity impact of choices available to them. 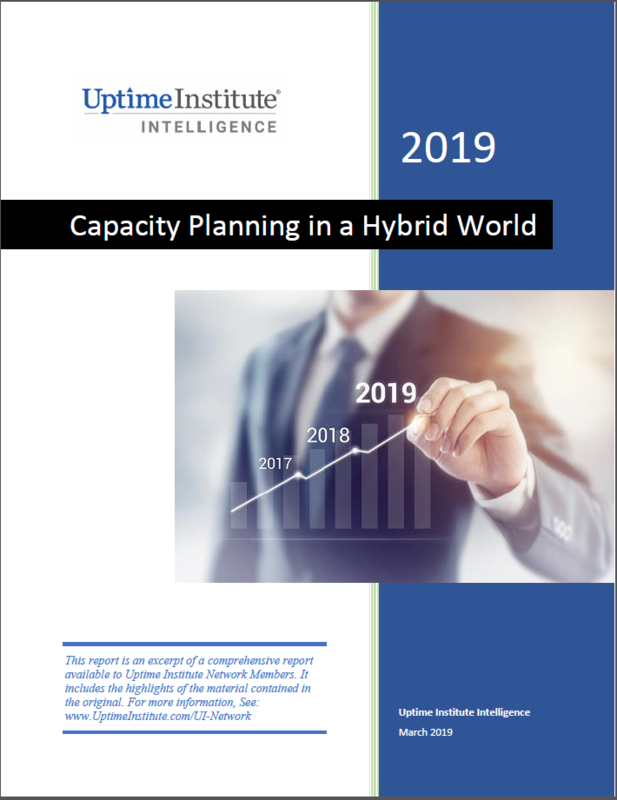 While there is no one-size-fits-all approach, Uptime Institute Intelligence research suggests there are select areas worth investigating and integrating into any capacity management and forecasting strategy. This report is an excerpt of a comprehensive report available to Uptime Institute Network Members. Members of Uptime Institute Network experience fewer disruptions, lower costs of operations, reduced unplanned downtime and can defend their IT choices.